“This morning on June 27 in the Solomensky district of Kiev, a car exploded killing a member of the main intelligence department of the Defense Ministry of Ukraine, Colonel Maksim Shapoval,” the ministry’s statement reads. 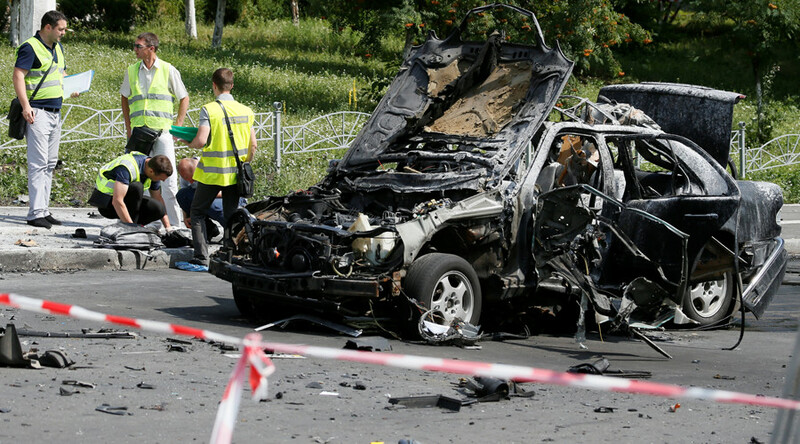 At 8:16am local time, police were notified that a Mercedes had blown up, according to Kiev police. Local media report that the victim was 39 years old and served as the head of the military intelligence special forces reserve. CCTV footage has emerged, showing the moment of the blast. Two other people injured by the explosion received shrapnel wounds to their legs and chin.